I did get to visit my studio last weekend. It was the monthly Second Saturday artwalk. There I was, sitting in my chair with my foot up on my worktable. It was nice to see that it’s all still there. Also nice to see the other studio artists at ARTHOUSE. But that’s about it for a while. The foot is getting better rapidly, but…… My hand will be in a cast until at least June 9. No scissors. No drawing. I’m trying to train my left hand, but it’s a slow process. On the plus side…… The public art commission I was awarded in spring of 2013 by LA County is finally set to start. We should be having a kickoff meeting in early June. I’ll keep you posted here. I think this might be a very interesting project!!! They are talking 3D. Yikes!! ALAS! I’ll be out of the studio for a while. 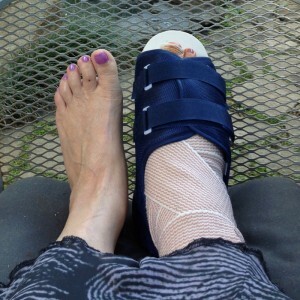 Old injuries have caught up with me and needed fixing. Since I’d be out of the studio a while with each one, I decided to multitask my recoveries. 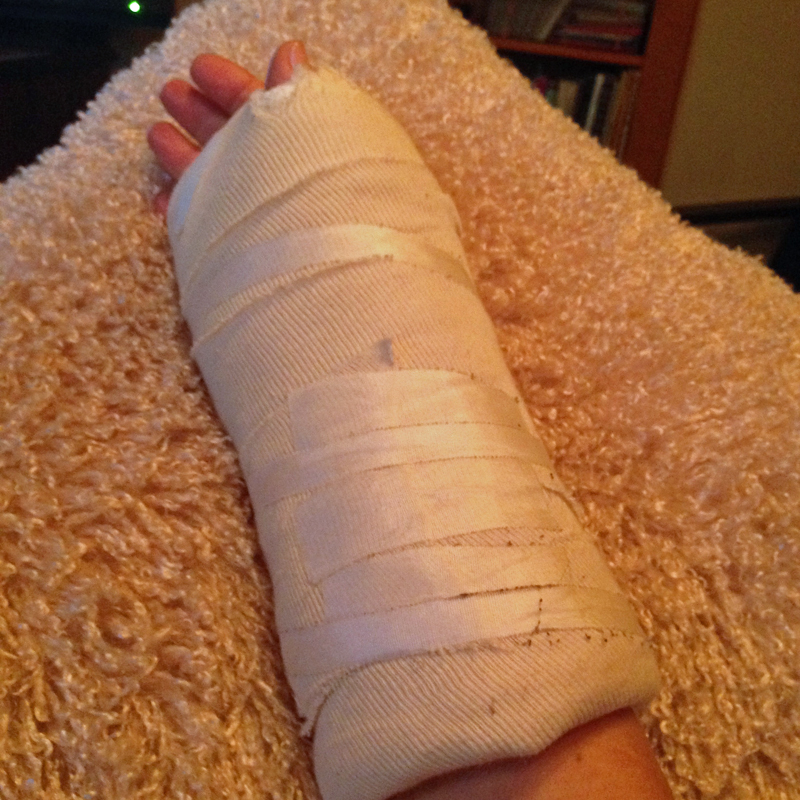 I need to keep my foot elevated, and my hand will be in a cast for about 5 more weeks. 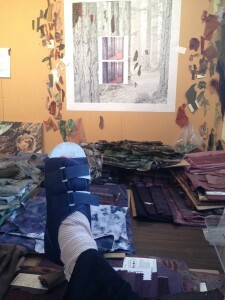 ‘Guess I won’t be standing at my design wall or wielding scissors and pins for a while. But I WILL be in my studio tomorrow evening for Second Saturday. Just kicking back with my foot up……..